Home / Fanboy News From Around The World / Fanboy News! Trump Signs A Woman’s Chest?!? Seizure’s During An Autograph Signing! Magic Johnson’s Latest Signing Deal! And More! Magic Johnson signs a new deal, Donald Trump signs a woman’s chest?!? and more! 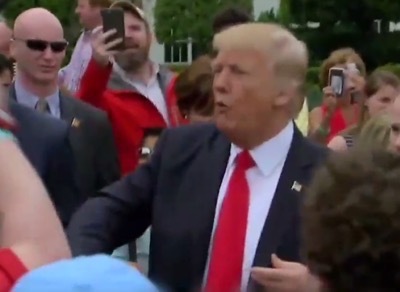 Did Donald Trump Autograph a Woman’s Chest? Press Pass Collectibles has signed Magic Johnson to what it calls “an exclusive long-term memorabilia partnership.” It’s the first-ever exclusive autograph deal for the Hall of Famer, according to Press Pass, which is one of the largest distributors of autographed memorabilia.Johnson will sign basketballs, jerseys and other memorabilia for Press Pass, a division of Bell Sports Marketing. Collectors looking for a unique piece of Mickey Mantle memorabilia are in luck after a pair of his gambling cards went up for auction, according to TMZ Sports. Yesterday at a fan signing for Becky Lynch, an individual reportedly had a seizure while waiting in line and had trouble making it up the stairs. Lynch quickly made her way over and held the fan until EMTs arrived. Autographs and photo ops for Ahmed Best (The Phantom Menace) and Erin Kellyman (Solo: A Star Wars Story) at Star Wars Celebration Chicago are on sale now! 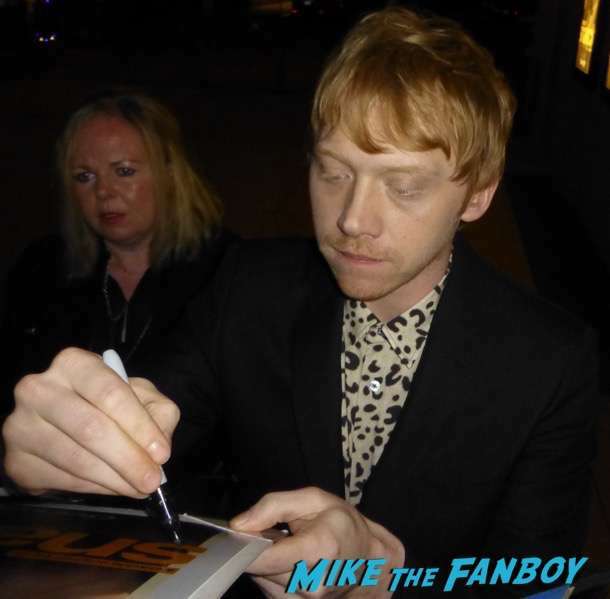 Would you pay more than £250 to have your picture taken with Rupert Grint – along with his autograph?That is how much it will cost fans wanting to get up close and personal with the Harry Potter star at next month’s Wales Comic Con.The world-famous actor, who played Ron Weasley in the movie adaptations of J K Rowling’s books, will be in Wrexham on Saturday, April 27. Fanboy News! 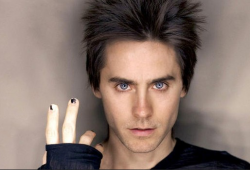 Fistfight Over Jared Leto Autograph! Julia Roberts Says Her First Signed Photo Was In The Bathroom! Kate Winslet Points Out Autograph Fakes! And More!